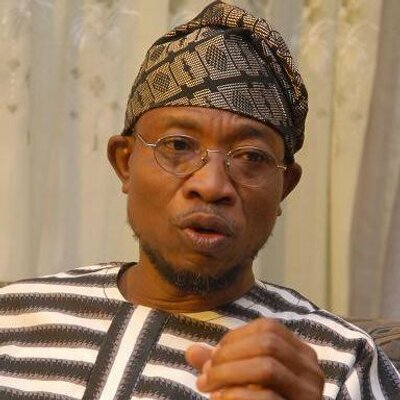 Governor Rauf Aregbesola of Osun State, on Tuesday, said his administration had spent more than N30 billion on direct social investment programmes in the state. The media aide to the governor, Sola Fasure, in a statement, on Tuesday, in Osogbo, quoted Governor Aregbesola as saying this at the palace of the Elegboro of Ijebu-Jesa in Osun, Oba Moses Agunsoye. Aregbesola’s visit to the monarch was in continuation of the All Progressives Congress (APC) sensitisation tour of the state. ” Our government has done so much to make life meaningful and abundant for the citizens just as we have made direct investment on the people to the tune of about N30 billion,’’ the governor said. He said the social investment was done through initiatives such as Osun Youth Empowerment Scheme (O’YES), Osun School Feeding and Health Programme (O’MEAL), Osun Rural Enterprise and Agricultural Programme (O’REAP) and Osun Ambulance services. According to Aregbesola, his government has performed creditably well in delivery on its electioneering campaign promises to the people of the state. The governor said that his administration, after the expiration of its tenure, would leave behind legacy projects. “We are using this tour to remind our people that we have fulfilled at least 70 per cent of our campaign promises and for them to know that they must do everything to ensure that our party remains in the saddle of leadership,’’ he said. In his remarks, Agunsoye commended the governor for the giant strides recorded in the last seven and a half years. The monarch said the present administration had done well in all aspects of governance. ” It has therefore become important for us as a people and as citizens of Osun if we truly desire good governance to allow continuity,’’ the monarch said.